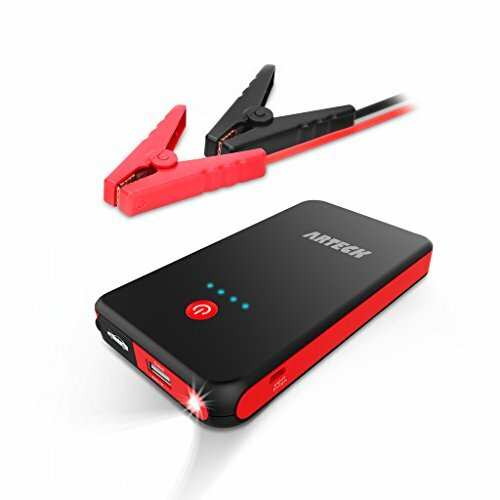 Specifications Capacity: 22000mah/81. 4Wh Weight: 625. 2g/ 22. 04oz Size: 185*88*38mm/7. 28*3. 46*1. 49inch In(Out) : Type-C 5V/3A Output 1: Smart 5V/ 9V/12V Output 2: 5V/ 2. 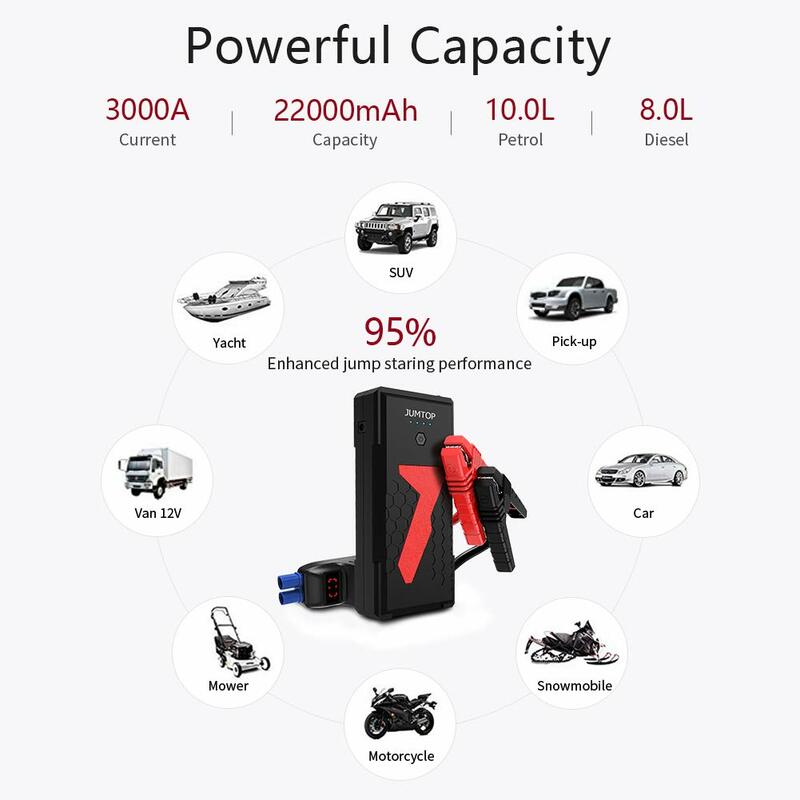 1A Jumping Peak Output Current : 3000A Jumping Start Output Current: 1500A Operation Temperature Range: -20℃-60℃/-4F-140FWhat You Get & Accessories Jump Starter x 1Intelligent Jumper Clamps x 1Type-C USB Line x 1User Manual x 1Portable Semi-Hard Case(gift) x 1Attention： 1. 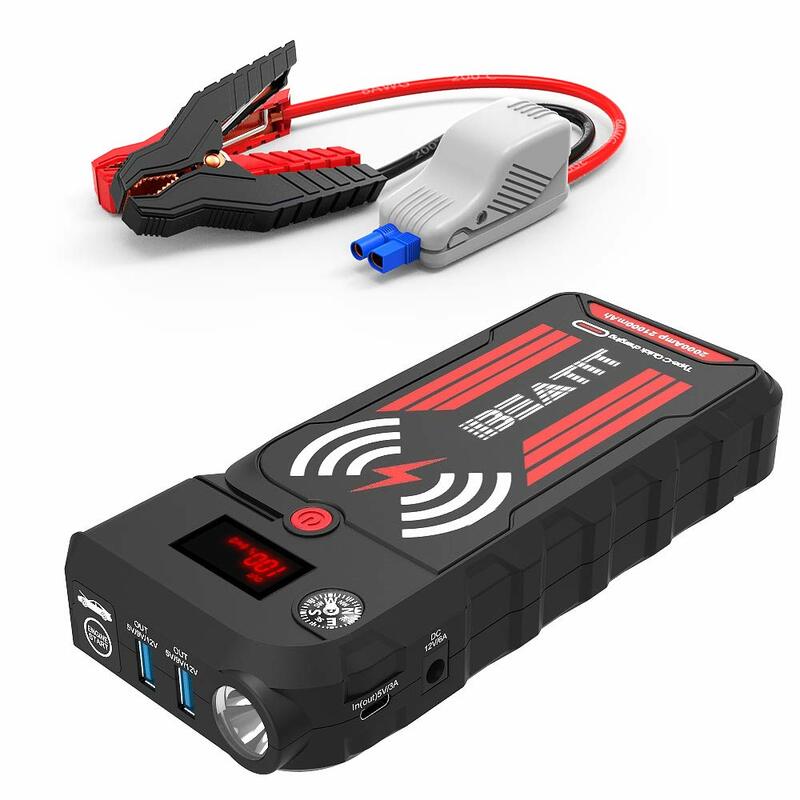 This device applies to petrol engines up to 10L and diesel engines up to 8L. Please don’t start a vehicle with a higher engine capacity or it will cause serious damage to the device and could be dangerous to the user. 2. Don’t crank the engine for more than 3 seconds. Allow the jump starter to cool down for at least 1 minute after each start. 3. 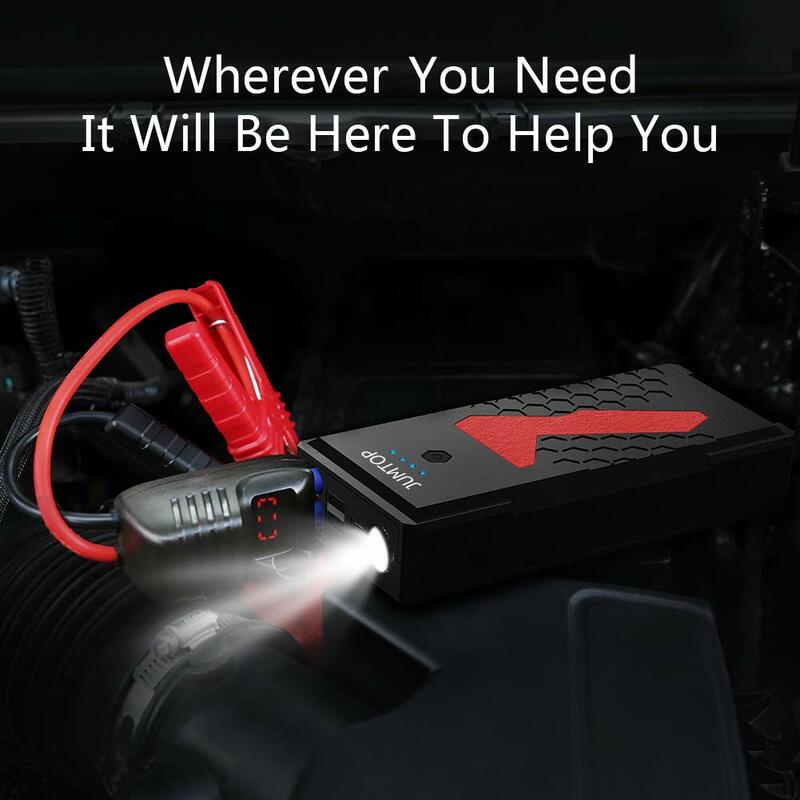 Your jump starter will work best when it is fully charged. 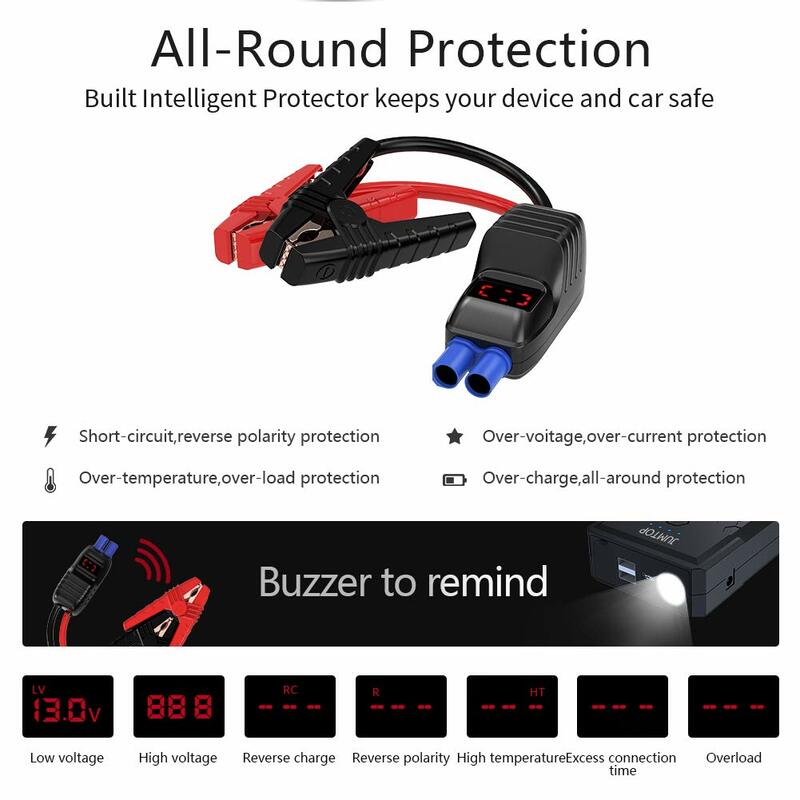 If less than 30% charged, it will not be able to start your engine. 4. Clear the dust on the electrodes of your car battery before jump starting. 5. If the instructions are followed correctly but your vehicle doesn’t start instantly, please wait for 5-10 minutes and try again. But please don’t make repeated attempts to jump start the engine without allowing time for the device to cool down. 6. Do not connect the positive and negative polarity together when it’s power on. 7. 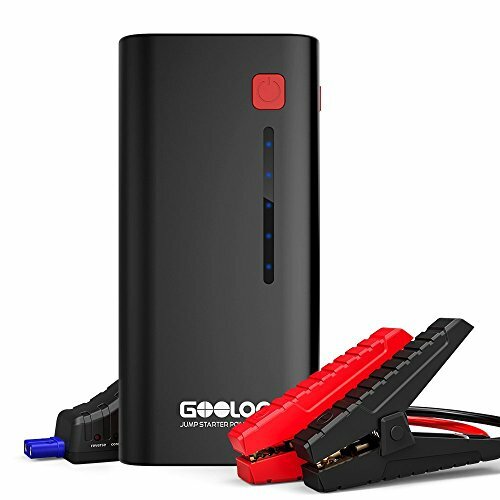 Separate the cables from the jump starter when they are not being used. 8. 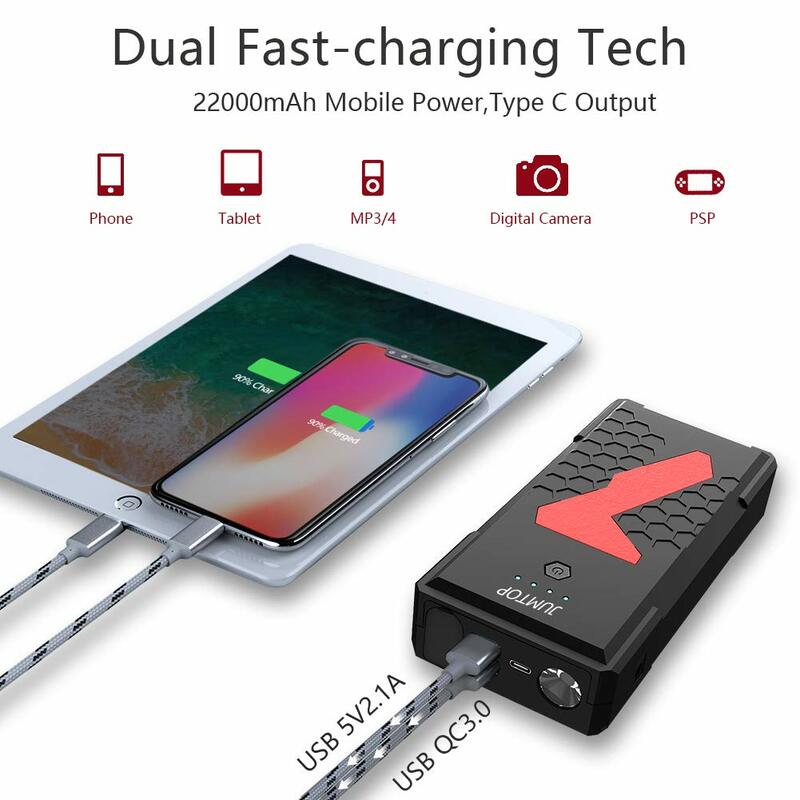 It is prohibited to charge the device immediately after a jump start. Please wait at least 30 minutes if you want to charge the device after a jump start. 9. To preserve lifespan, recharge the device at least once every 3 months. 10. Use original or certified cables. 11. 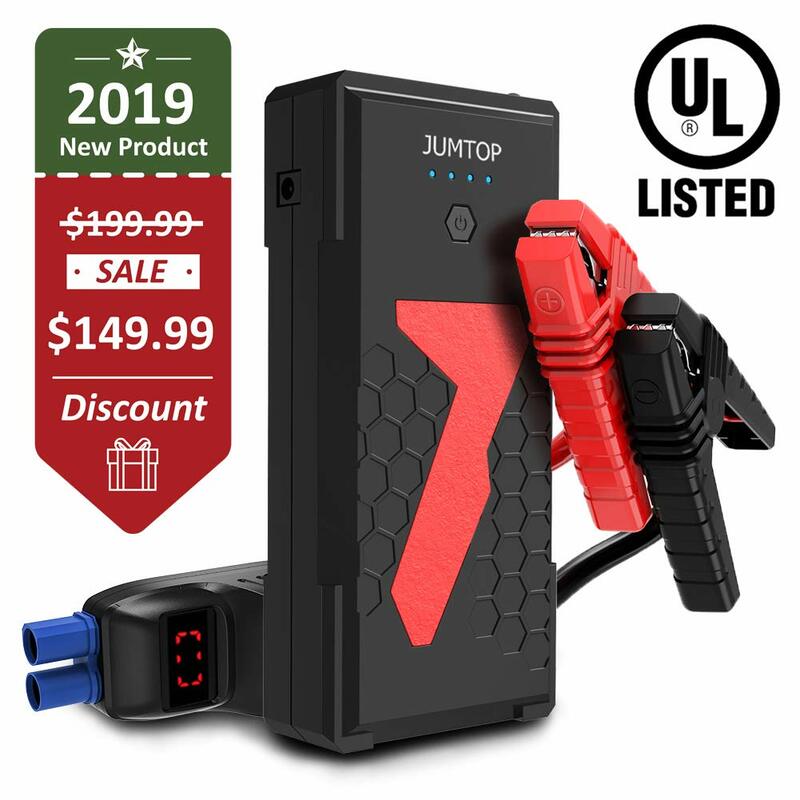 Do not expose the jump starter to liquids. Do not disassemble. 12. 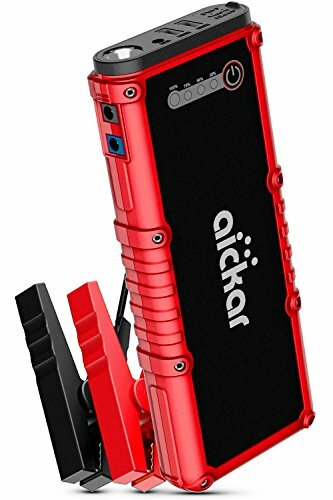 Avoid dropping the device and exposing it to extreme temperatures.